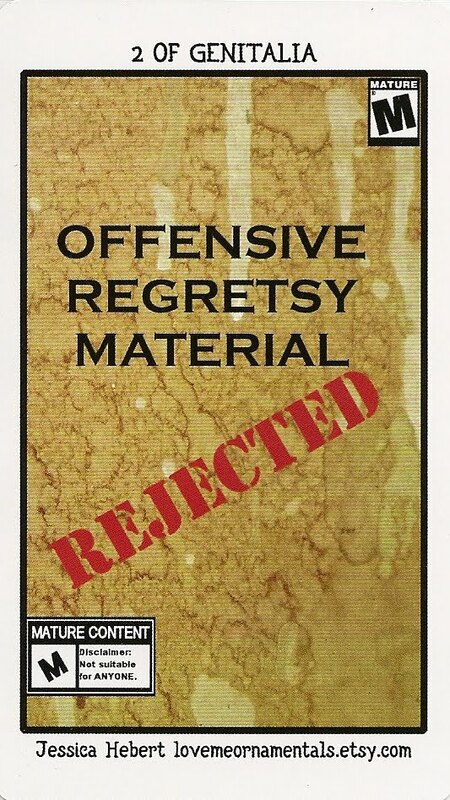 This deck is being designed by 25 Regretsy fans and artists all over the world, who call themselves 'April's Army'. Regretsy is an online community created by April Winchell that parodies the handmade crafts that are shown on Etsy. 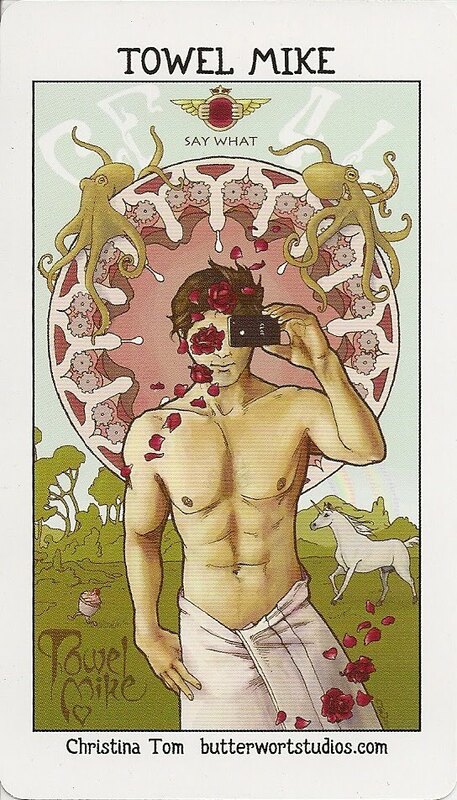 The Regretsy Tarot is a limited-edition tarot deck of 1200 copies. The 79-card deck follows the RWS pattern and is divided up into major and minor arcana. 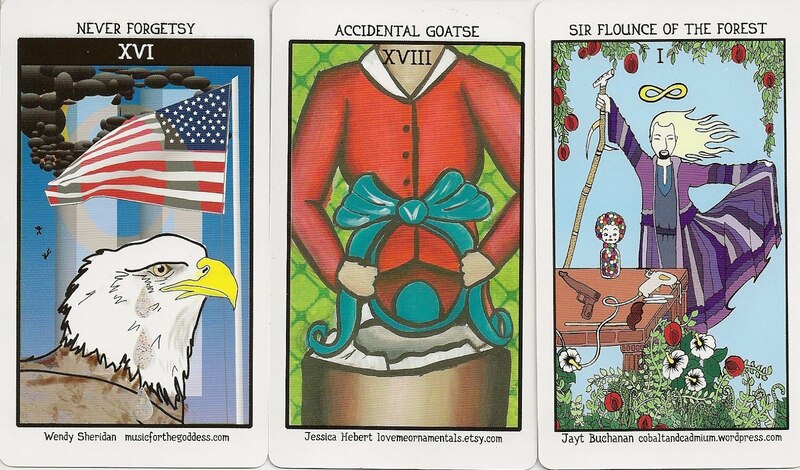 The cards depict the vocabulary and culture of Regretsy. The suits are Tools, Genitalia, WTF, and Whimsicles (F*ckery). "Whimsical" is often spelled wrong on Etsy, so that particular typo has become a running joke amongst Regretsians. 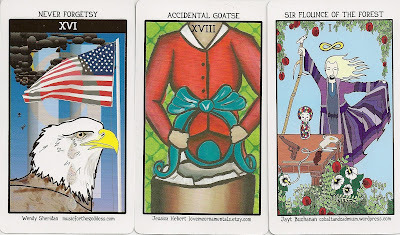 Both the majors and minors give a title for each card as well as the promotional information for the artist who designed the card. The deck comes with an extra card called "Towel Mike". The backs of the cards appear from a distance like black and white diamond and square patterns with a flower image in the center. On a closer look they are human genitalia, a circle of penises surrounds a circle of vaginas.